The House was constructed in 1990 as a purpose built B&B. 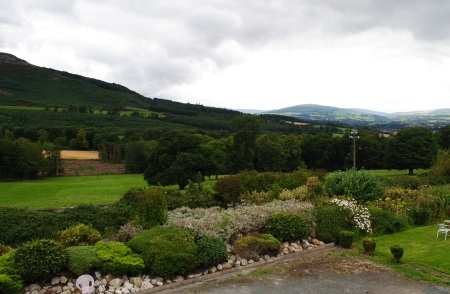 Hillview sits on 1.5 acres of beautiful land giving guests an an opportunity to see the Wicklow countryside. The Family run B&B creates a warm and welcoming atmosphere for guests from all over the world. 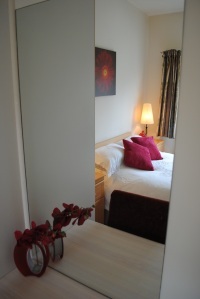 All bedrooms are en-suite and have Wi-Fi access. Most of our rooms have scenic views. There are tea and coffee making facilities available in the house and an extensive breakfast menu is on offer. Hillview B&B is open all year round and has been highly recommended by travel guides and is ideal accommodation for a short or long stay. Room rates are very competitive at only €35.00 p.p.s. 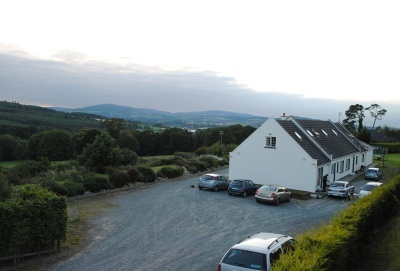 The house is situated at the foot of the Wicklow mountains on the main road between Bray and Greystones and is within walking distance of Bray town (3.8km). Public transport including Train, Bus and Car Ferry are within easy reach of Hillview B&B. While staying at Hillview one will not be short of things to do. Take a look at our Local Amenities page for more information. Many Thanks for your hospitality and your kindness, great B&B and lovely countryside around."